Another suggestion has the word "lyrics" at the end. 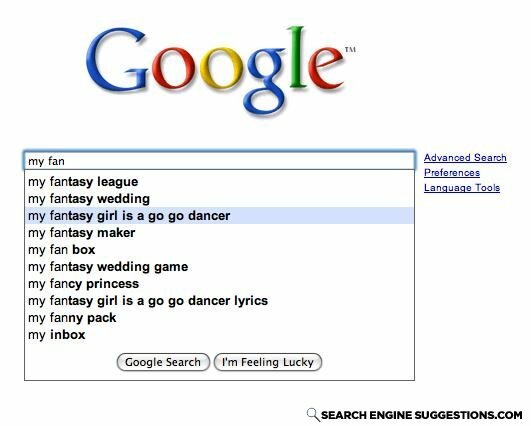 Common sense says My Fantasy Girl is a Go Go Dancer would be a song. WOw, what do ya know, it is! Why is "my inbox" a suggestion? Man, I gotta check my girl out. They've been talking about how she dances. Cause your jamacian me crazy?